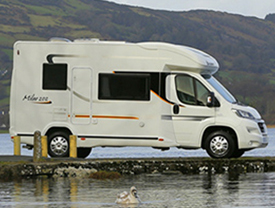 Last week we looked at the different types of motorhomes available on the market. With large differences in proportion, weight and layout and each offer varying degrees of living space, comfort and luxury choosing the right layout can be a daunting decision. Benimar is Back in Ireland now bigger and stronger than ever. 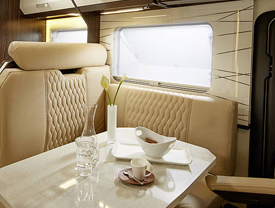 Part of the Trigano Group since 1975, Benimar and Marquis Leisure in the UK have come together to build a high specification motorhome of exceptional quality and design, tailored specifically to meet the needs of the Irish and UK leisure enthusiast. Here are five key ways Benimar are going to change the existing motorhome landscape in Ireland and what it means for the Irish leisure enthusiast. 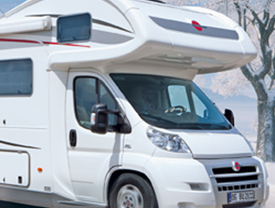 7 Simple Steps to protect your motorhome from frost damage. Irish weather conditions in recent years have had us all reaching for our winter woollies unexpectedly, sometimes right up to the month of April. For motorhomes owners, it's important to be prepared ahead of a cold snap in order to avoid potential damage to your motorhome as a result of freezing temperatures. We hope to save you a lot of time and money by guiding you in the right direction. Motorhomes come in all different shapes and sizes not to mention layouts. At Anchor Point we are very aware that choosing the right motorhome can be a daunting decision, in particular for the first time buyer. 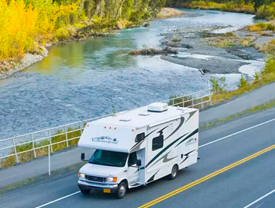 Even the most experienced motorhome owner can find it a challenge to narrow down which next model is right for them, as needs and requirement can change overtime.